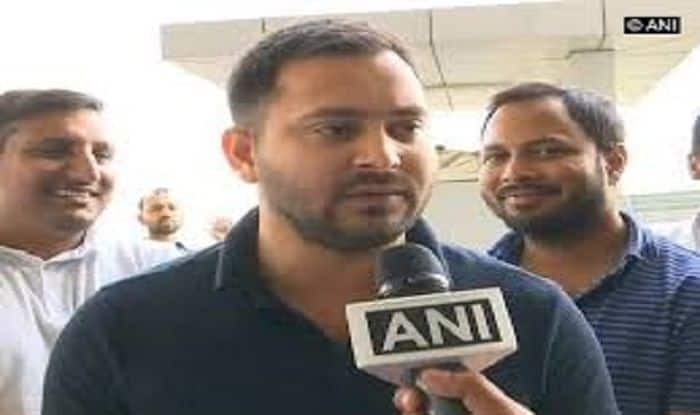 "Lalu ji is in jail only because Modi ji saw him as a threat," said Tejashwi. Happy with the Samajwadi Party-Bahujan Samaj Party alliance in Uttar Pradesh, Tejashwi said, “I congratulate Mayawati ji and Akhilesh ji for forging this alliance in the national interest. It was necessary in the light of the situation in the country right now. Those who were slaves of British are in power right now,” he said at a joint press conference with Akhilesh in the state capital. On Sunday, Yadav had said that the BJP does not stand a chance to come back into power in the Lok Sabha elections 2019 and will be whitewashed in politically important Uttar Pradesh and Bihar. His comments came after a meeting with BSP chief Mayawati at her residence in Lucknow.